Home » Downloads » Should you review your Will? Should you review your Will? Do you have a Will? If you do, can you remember when it was last updated? It might not always be clear if you should update your Will. We’ve created a list of events that should trigger a review of your Will, as these changes may affect who benefits from your estate. Download our guide today to make sure you keep on top of your Will. 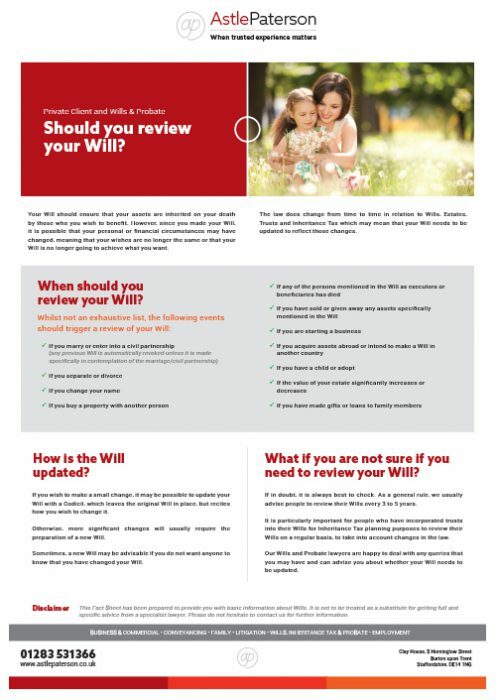 Download: Should you review your Will? Conveyancing Advice Part 2: What does a conveyancer do?